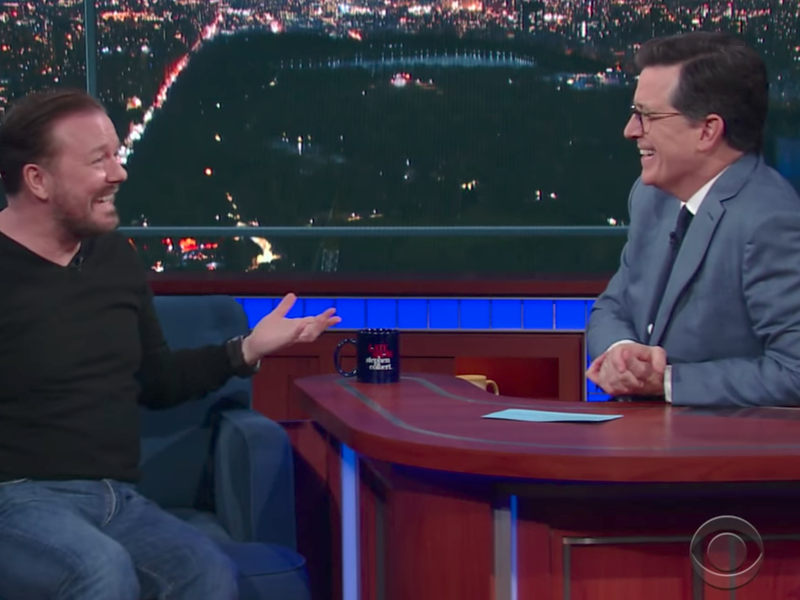 Ricky Gervais came on Thursday night’s “The Late Show,” and the comedian once again debated religion with host Stephen Colbert. Gervais is an atheist, and Coblert is a devout Catholic. The last time Gervais was on the show, they debate the existence of God. “I smoked you,” Colbert said Thursday of their previous heady conversation.